Beautiful mugs just you’re your tea or coffee taste that little bit better. So, we are always on the look out for lovely crockery and mugs that will create this feeling. 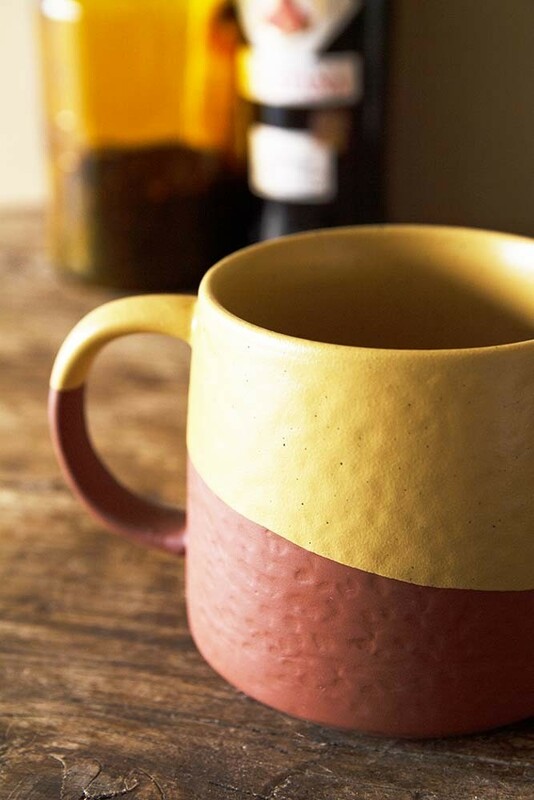 When we laid our eyes upon the Two-Tone Ochre & Terracotta Mug we just had to have it! 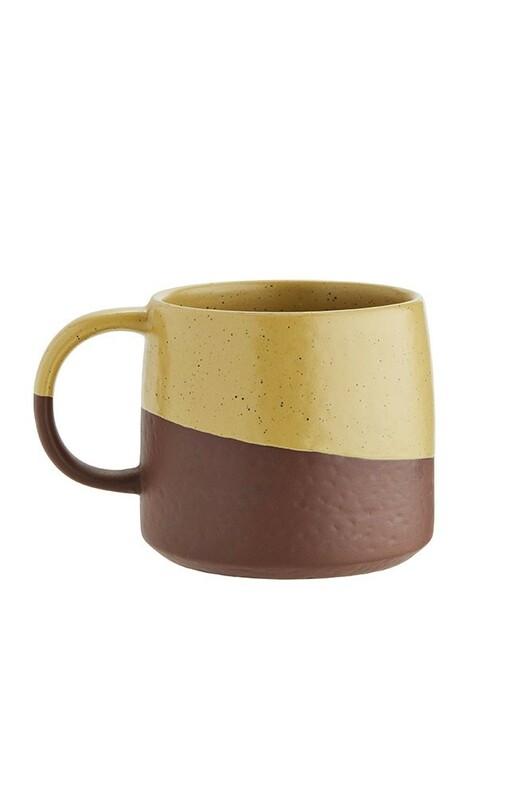 Crafted from glazed porcelain with a two-tone finish of chic ochre and on-trend Terracotta the two-tone mug features a striking geometric design that will stand out in your home. Measuring 7.5cm in height with a 9cm diameter, this is the perfect mug for your morning caffeine fix. Celebrating simplicity, the colour block finish of our ochre terracotta mug adds an extra dose of style to your everyday routine. Whilst terracotta remains the colour of the moment, we love the introduction of earthy ochre tones and the rustic, artisan finish that sets this design apart. Also available in timeless Black and Terracotta, the porcelain mugs embrace a modern take on tableware and are ideal for that all-important morning cup of tea, coffee or an indulgent hot chocolate with all the toppings. Taking table styling to the next level; the addition of the Two-Tone Ochre & Terracotta Mug ensures your breakfast table has never looked so chic! Whether styled solo or in a set, the two-tone ochre and terracotta mugs are designed to be displayed. Stack them together on open shelving, create a display behind glass door cabinets or use them to create your very own coffee station in the comfort of the kitchen. 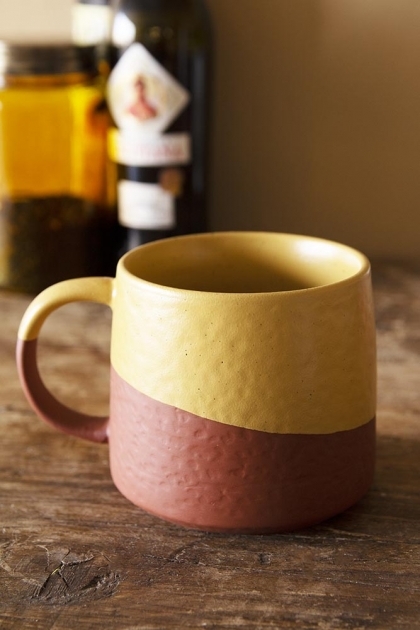 Stylish and practical, the Two-Tone Ochre & Terracotta Mug is safe for use in the dishwasher.